The School of Liberal Education is pleased to announce the inaugural winner of the School of Liberal Education Volunteer Award, third-year neuroscience student, Madeline Szabo. Congratulations! After receiving the Mitacs Globalink Research Award, computer science student, Austin Kothig spent his Fall 2018 semester in Italy working with cognitive robotics. Welcome to the Department of Neuroscience and the Canadian Centre for Behavioural Neuroscience (CCBN). The University of Lethbridge is a world class research facility that is home to the first Department of Neuroscience in Canada, including the CCBN, a top-quality, state of the art, 60,000 square foot, standalone research facility, the CCBN. The CCBN houses a vibrant and dynamic scientific community that is recognized internationally for cutting edge neuroscience research. Our research group represents a broad range of neuroscience research interests including the neural mechanisms of memory, brain plasticity, recovery of function, brain development over the life-span, and brain disease. 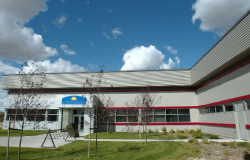 The CCBN plays an integral part within the undergraduate and graduate programs at the University of Lethbridge and connected educational institutions. Post doctoral fellows, PhD and Masters students and undergraduate students enjoy a uniquely intellectually challenging and stimulating environment within which to learn and develop independent and successful neuroscience careers. To find out more visit "About Us". CCBN is a top-quality, state of the art, stand alone research and training facility that houses a vibrant and dynamic scientific community of 16 principal investigators and 180 visiting scientists, postdoctoral fellows, graduate and undergraduate students, and staff. 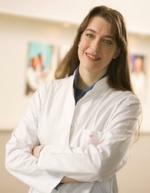 This internationally recognized group of scientists explores research interests from the molecular and subcellular level all the way to the whole organism level with a unified drive to understand the neural mechanisms of learning, brain plasticity, recovery of function, brain development and brain disease. Faculty members are happy to involve students in their research projects, using state-of-the-art facilities and equipment. Our faculty members often collaborate with other departments, community members and employers on research projects—giving you the opportunity to get hands-on experience. CCBN is an integral part of the undergraduate and graduate programs at the University of Lethbridge and has attracted visiting scientists and postdoctoral fellows from around the world. We offer one of the most uniquely personable, highly interactive and stimulating learning environments for training in behavioural neuroscience in the world. Research at the Canadian Centre for Behavioural Neuroscience at the University of Lethbridge is changing our perception of the brain. Congratulations - You’re an undergraduate neuroscience student at the UofL! What now? First, you’ll need to decide what courses to take and make sure they are offered when you need to take them. You may find you need some help with this process and we are here to answer your questions and provide support as you complete your degree. We are located in EP1252 Exploration Place, so please stop by or chat to an Academic Advisor (SU060). Another valuable resource is our Program Planning Guide. While studying Neuroscience at the UofL, you have access to state-of-the-art science and research facilities, such as the Canadian Centre for Behavioral Neuroscience (CCBN). This internationally renowned facility provides the infrastructure to support the research interests of our award-winning faculty—your instructors! The facility is unlike any research facility in the country and houses the laboratories of our principal investigators. The CCBN primarily conducts research in Behavioural Neuroscience, studying both normal brain processes and the recovery processes in neurological disorders and brain injury. Take full advantage of your undergraduate experience. You can work in a research lab on an Independent or Applied Study, as a research assistant or even full-time as a Co-op student. Visit the Undergraduate Student’s page and be sure to explore the site further for further information. Interested in studying undergraduate level neuroscience at the U of L, find out more! Graduate programs (MSc and PhD) in behavioural neuroscience at the CCBN provide an outstanding training environment, taking students out of the classroom and into the rich world of research. Students are immersed in programs that are interdisciplinary in nature, incorporating research interests in learning and memory, neural plasticity, neuroethology, motor systems, stroke, vision, cognitive neuroscience, brain development, addiction and the neurobiology of disease. There are several professors accepting application to the Graduate Studies Program under wide-ranging areas of expertise, so please explore these opportunities further. 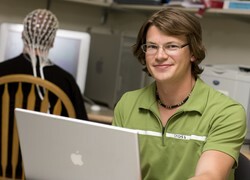 Interested in studying graduate level neuroscience at the U of L, find out more! The CCBN sponsors multiple scientific and educational outreach programs throughout the year for the Lethbridge and Southern Alberta communities. Events include school visits, tours and demonstrations by “Brain Awareness Week” activities, Brenda Milner Lecture Series, Heritage Youth Research Summer (HYERS). Become a member of the Lethbridge Chapter SFN and fill out our online membership application form today! The CCBN is committed to advancing our knowledge to understand brain function and influence recovery in disease and injury. We invite you to help us deliver on this commitment. Just recently, Dr. Harley Hotchkiss leaves a legacy gift to University of Lethbridge to support brain research. Read all about it! To find out more on how you can help support brain research at the CCBN please contact CCBN Director: Robert Sutherland, 403 394 3987 or Departmental Chair: Robert McDonald, 403 394 3983.